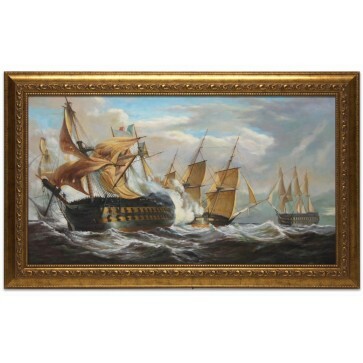 A specially commissioned oil painting on canvas interpreting "The Battle of Trafalgar" by Clarkson Frederick Stanfield. 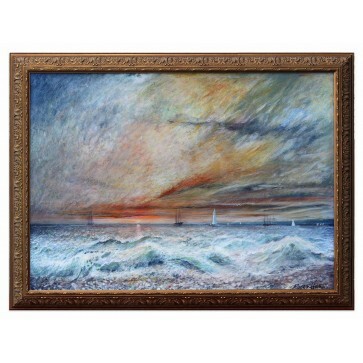 The painting has been stretched and mounted in a 4" hand made swept frame in a metal leaf finish. 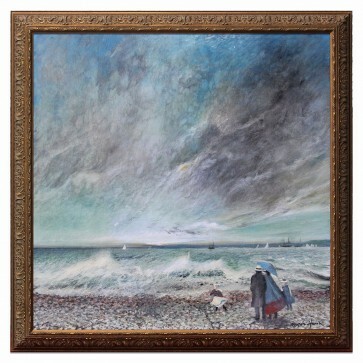 Clarkson Frederick Stanfield, often wrongly referred to as William Clarkson Stanfield, was regarded as the greatest British marine artist of his day. 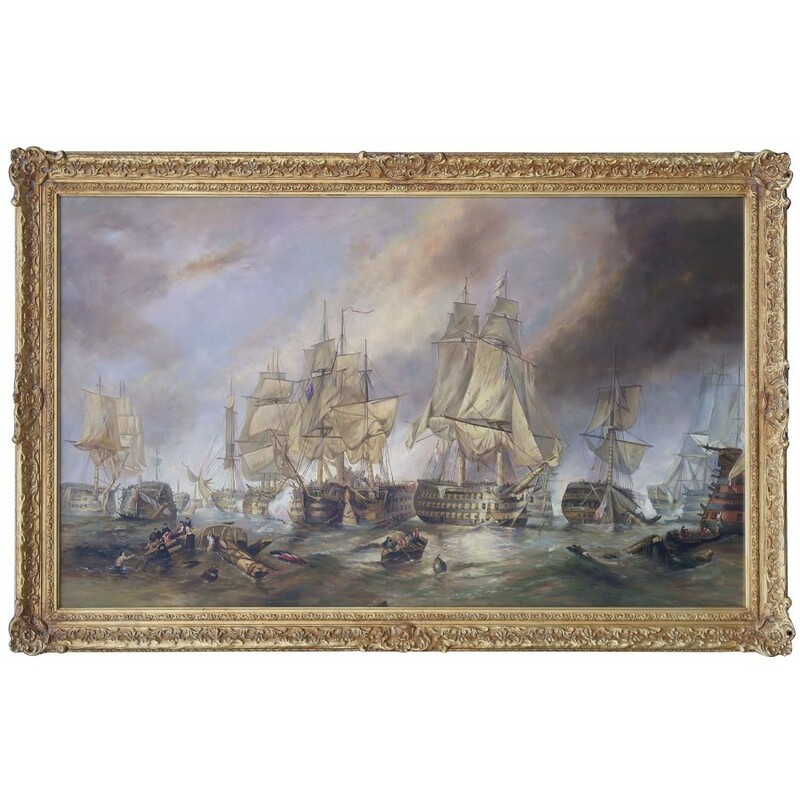 The Battle Of Trafalgar is considered his finest work and depicts the confrontation between the British Royal Navy and the fleets of France and Spain on 21st October 1805 at Cape Trafalgar off the South Western coast of Spain, south of Cadiz. 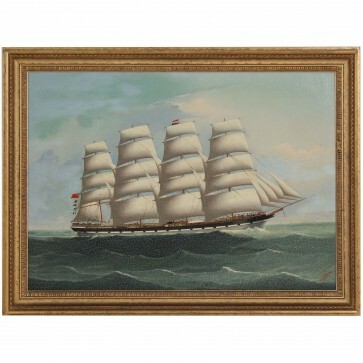 The ultimate aim in battle was to lock ships together and capture the enemy by boarding. 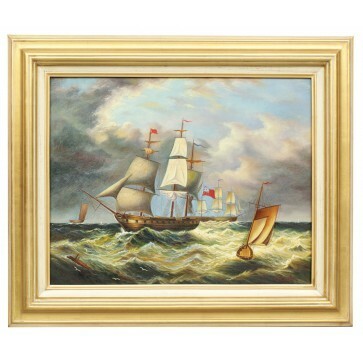 Savage hand to hand fighting took place at Trafalgar on several ships. 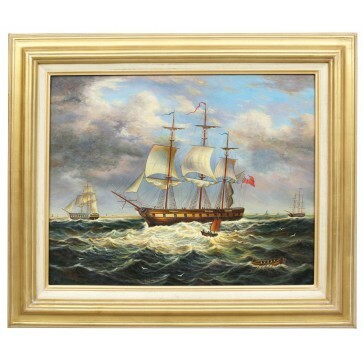 The crew of the French Redoubtable, living up to the name of their ship, boarded Victory but were annihilated in the brutal struggle on Victory’s top deck. 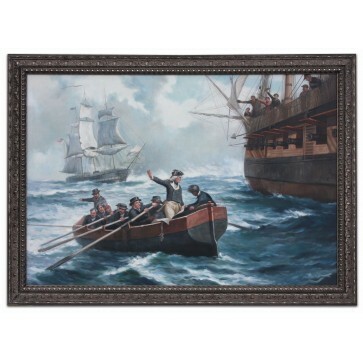 However, a musket shot hit Nelson, knocking him to the deck and breaking his back. 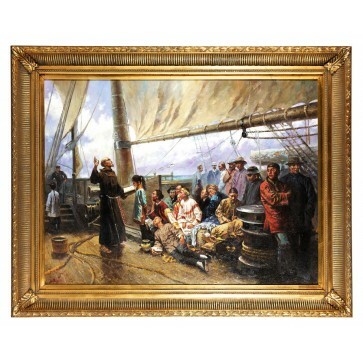 The admiral was carried below to the midshipmen’s berth, where he constantly asked after the progress of the battle. 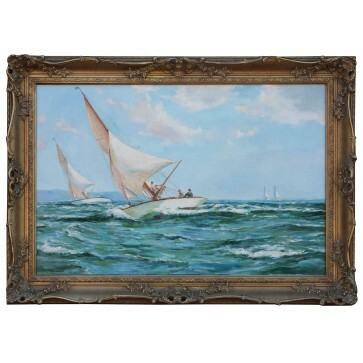 Eventually Hardy was able to tell him before he died that the Fleet had taken 15 of the enemy’s ships. 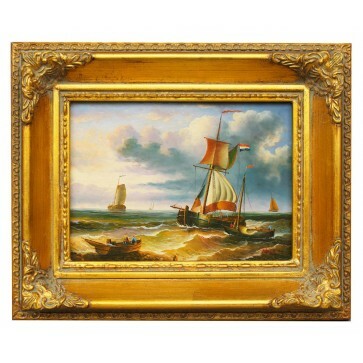 Nelson knew he had won. 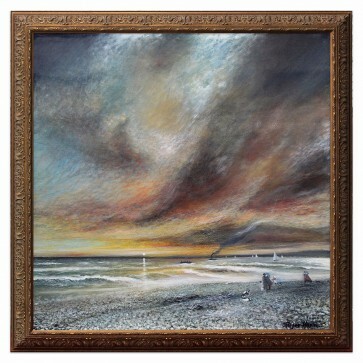 "Though inland far we be, Our souls have sight of that immortal sea, Which brought us hither, Can in a moment travel thither, And see the children sport upon the shore, And hear the mighty waters rolling evermore.” – Intimations of Immortality, William Wordsworth. 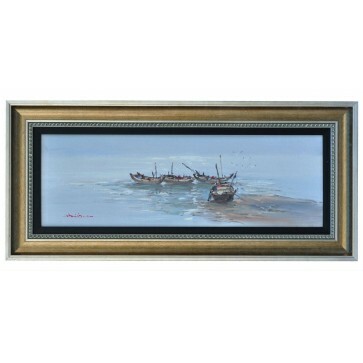 Our Marine paintings and Beach paintings are completely done by hand, either as exact replicas or interpretations of existing artworks. 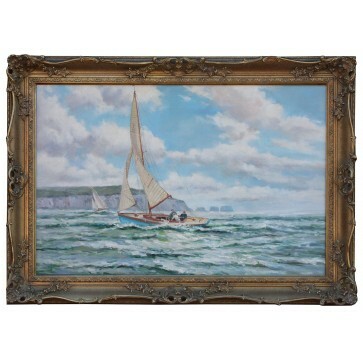 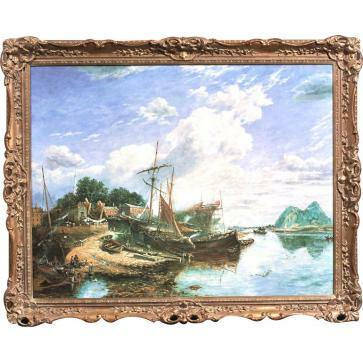 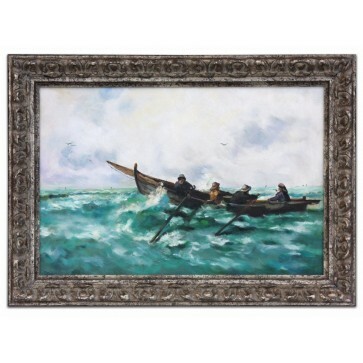 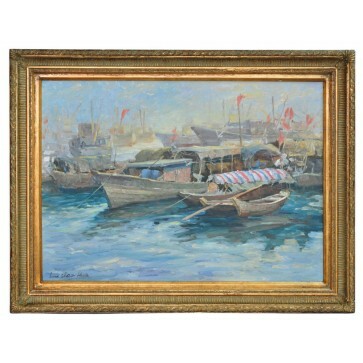 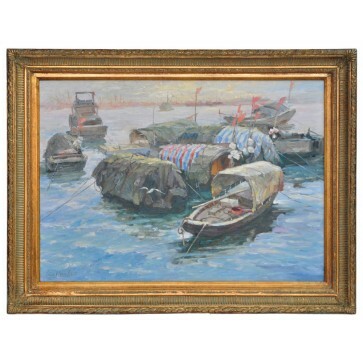 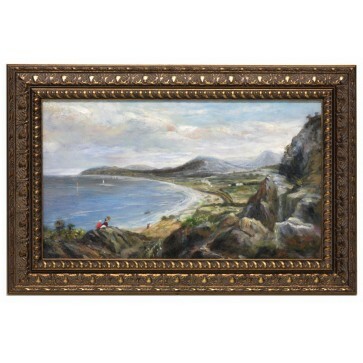 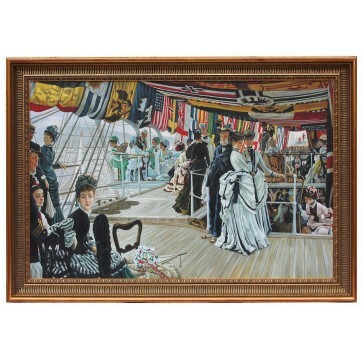 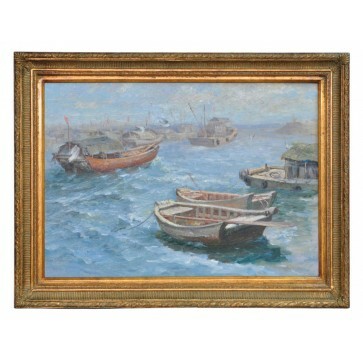 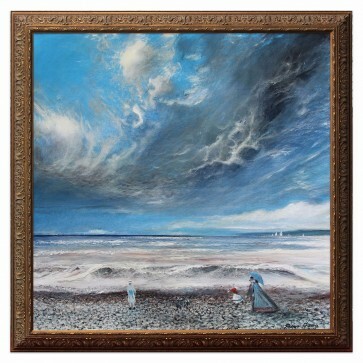 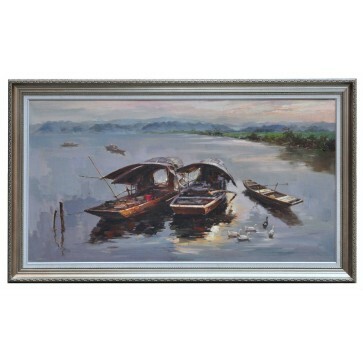 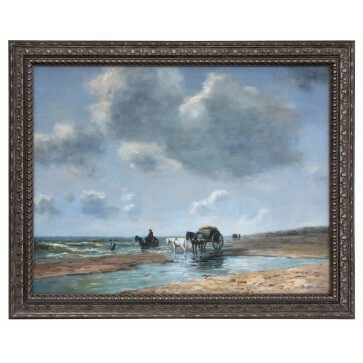 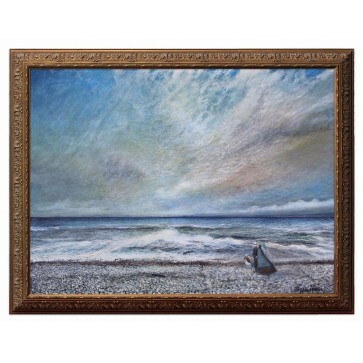 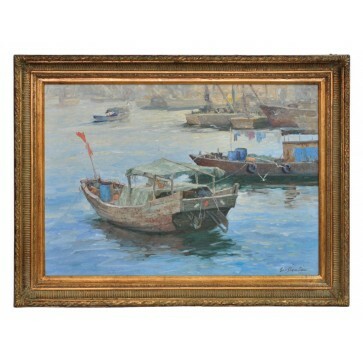 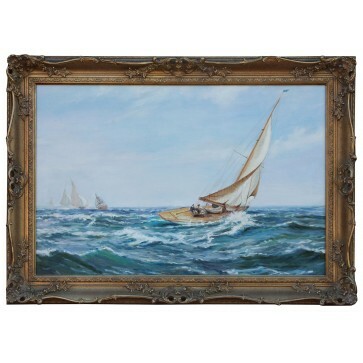 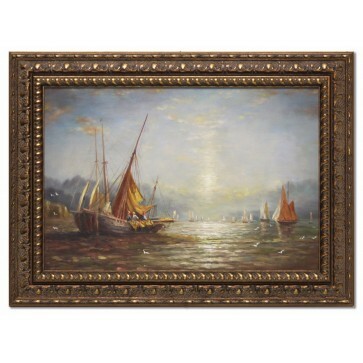 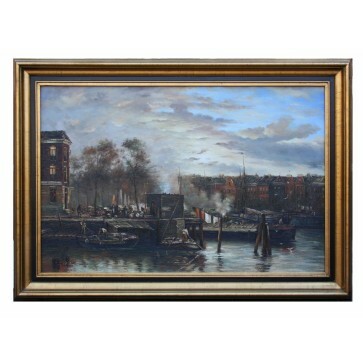 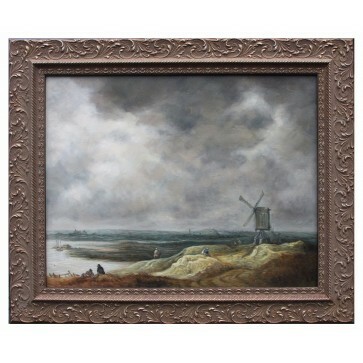 We have a wide range of Marine and Beach Paintings in stock in a variety of styles, however should there be nothing to suit your taste we have access to the National Maritime Museum Collection, and are able to commission paintings to your exact size and specification.